Whenever Larenz Tate is mentioned, it’s hard not to think of Menace II Society, Love Jones, Dead Presidents and The Inkwell. Throughout the 1990s he was a constant big-screen presence. In the 2000s he’s been a presence as well, just a slightly less brash one. On cable he most notably held his own in FX’s Rescue Me, a post-9/11 series centered on firefighters, and as Marty Kaan’s younger, more carefree brother on Showtime’s House of Lies. Now he is on NBC in the ensemble drama Game of Silence. This Americanized version of a successful Turkish series features a group of friends whose traumatic past sets off a violent series of events. The Root caught up with the forever-young actor in Atlanta and chatted about the show, black films of the 1990s, next year’s 20th anniversary of Love Jones and the possibility of a long-awaited sequel. The Root: How did Game of Silence come about for you? 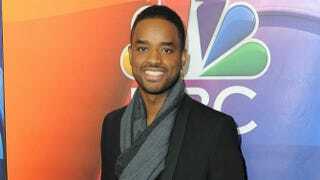 Larenz Tate: It came about because I’ve been working with Universal for a li’l bit. I did a couple of projects with them and they brought me a few shows. There was one that was a comedy and there was another one that was a relationship-driven show, and they brought Game of Silence, and I felt like this one would be the one that would go into an actual series, even though the other ones were kind of cool. The nature of the show just felt more real; it felt like it was grounded in the truth and it was a very cool ensemble [piece]. I loved the fact that the storytelling felt like more on the level of a cable-network show, and I felt like they were going to go and jump out there and do something different and bold and push the envelope, and I wanted to be a part of that movement. TR: Tell us about your character on Game of Silence and his background. He is a bit of a hustler. He knows how to manipulate people or things for, in his mind, for good reason, a good cause. And he’s a doer. He’s about getting things done. He’s a working-class guy. Amongst the friends, he keeps everything really lighthearted because that’s a coping mechanism for holding on to the innocence that was taken from him. TR: When you look back at your early work like Menace II Society and Dead Presidents, what does being in a show like Game of Silence mean to you against the body of work that launched your career? LT: It’s all about reinventing yourself. So I’ve had a great career in movies and I still have a lot more to go with the things that I’m doing, but you have to continue broadening your audience and your brand. People who probably didn’t watch movies like Menace II Society can now watch a TV show like Game of Silence, and for me, a natural progression in movies was to start trying to tell my own stories. So now my brothers and I have a production company, and we have been laying down a foundation for years and years. And now we’re producing different projects for different platforms and movies and television and the digital space, so that has not stopped, in terms of keeping the body of work started in movies going. TR: When you did Menace II Society, Dead Presidents, we didn’t have Twitter, Facebook and Snapchat, so those movies were eye-opening for a lot of people. LT: Those movies were the kinds of movies that Hollywood wasn’t necessarily trying to make, but you had filmmakers like John Singleton, you had filmmakers like the Hughes Brothers and Spike Lee, who wanted to talk about what was really going on in the community in a real way. I feel like there is still room to talk about those kinds of issues because a lot of that stuff is still relevant today. But Hollywood typically allows black movies to go one genre at a time. It’s faith-based and then it’s comedy, and then you might have a little drama here or there or civil rights. We have to keep a variation of genres going on, [which is] no different than mainstream movies, in order for us to be able to tell more stories. TR: Next year is the 20th anniversary of Love Jones. Are you prepared? LT: I’m going to have to be prepared for the 20th anniversary of Love Jones. It’s so funny because it doesn’t feel like it’s been that long, but people have continuously supported it. There has been a call of action to try to do a sequel, and Nia Long and I have been talking about it. … If it makes sense, if all the planets line up, we will jump at that opportunity. Game of Silence premieres Tuesday after The Voice before settling into its regular slot Thursday nights at 10 ET.